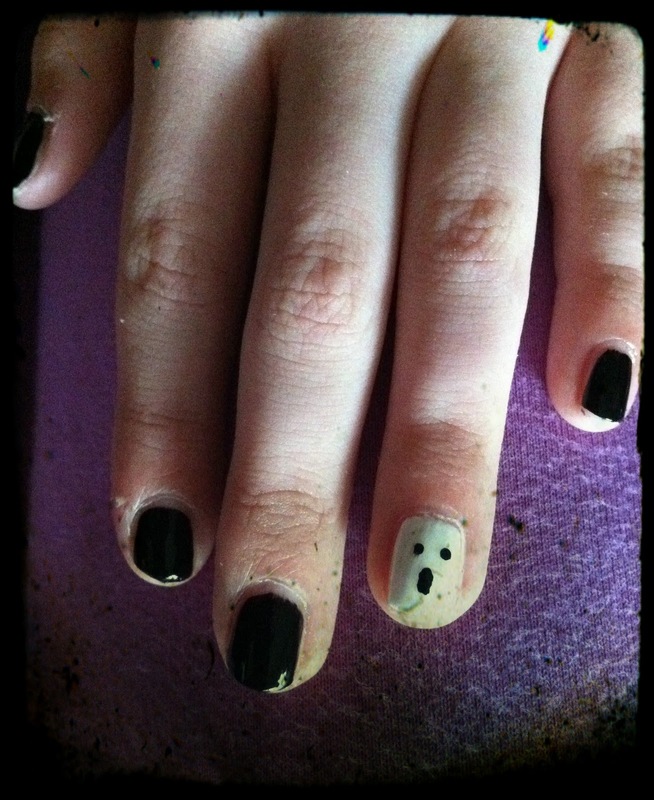 Today, for Manicure Monday, I'm showing mine and Chloe's Halloween inspired nails. 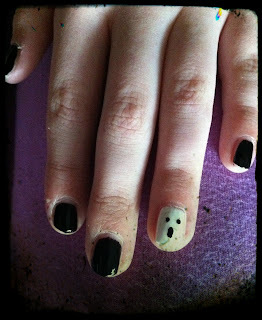 Chloe is dressing as a vampire for trick-or-treat, so we decided to go dark with a little bit of cute...ghosts. She is in-love with her nails. I keep catching her staring at them. I am hoping if her nails look cute maybe she'll stop biting them. I googled Halloween inspired nail images and saw a blood spatter that seemed kinda cool. I then got on YouTube and looked for tutorials. I stumbled across the video below to help. Mine are not exactly like the videos, but my kids think I'm really cool and that is all that really matters. Bloody French Tip Nails - Twilight Inspired!!! Till next time, have a safe and Happy Halloween! !